This month in Sydney’s north, history played out before the nation’s eyes when the country’s first driverless passenger train successfully completed its inaugural trip over the new cable-stayed bridge and elevated viaduct in Rouse Hill. “This is akin to the first car being on the Harbour Bridge,” announced Transport Minister Andrew Constance. 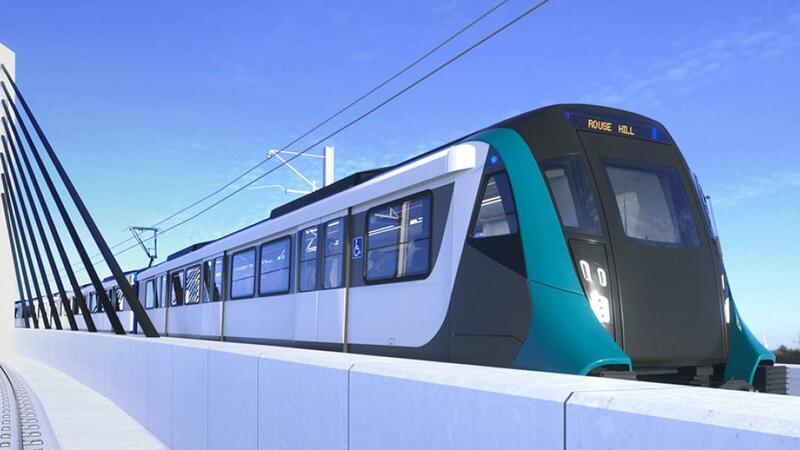 While empty of commuters for now, this train will run among a fleet of 22 driverless trains set to commence operations on the North West Metro line from Rouse Hill to Chatswood in early 2019. “As part of the testing, we have to make sure the train is safe for passengers when it comes into operations in the first half of next year,” said Mr Constance. Today the trains are travelling at just 60 km/h, though speeds are expected to rise to 100 km/h as testing continues. The trains will then be tested through the newly constructed 15km tunnels that run from Bella Vista to Epping. The successful trial comes just days after the first driverless train carried 28,000 tonnes of iron ore over 280 kilometres from the mines in Western Australia’s Pilbara to Cape Lambert. Following the news, the NSW government has indicated their willingness to adapt current double-decker commuter trains in Sydney’s metro with the driverless technology. "The core technology is very much the same and transferable," said Brett Dolan, General Manager of Hitachi’s social infrastructure group. Rodd Staples, Secretary of Transport for NSW shared the state’s interest in automating further transport services where they’re looking to take a less prescriptive, “much more loose” approach to industry collaboration. "We want to embrace automation rather than resist it," Mr Staples said. Speaking at a Japan-Australia infrastructure network meeting in Sydney, Japanese Ambassador Sumio Kusaka said that there was significant Japanese industry interest in expanding to Australia. "Cost and schedule overruns are often a major issue for Australian transport projects and it is my firm belief that the dedication, experience and technical and technological capabilities of Japanese businesses can significantly reduce the risk of such overruns,” Mr Kusaka said.